Despite being almost 100 years old, Scientific Advertising by Claude Hopkins remains one of the best books on sales and marketing ever written. Hopkins was the Seth Godin of the 1900s. The genius behind many of the biggest brands of his day, Hopkins can be credited with inventing the free trial model, the freemium model, coupons, campaign tracking and much more. Heck, he’s even the reason that people drink orange juice. 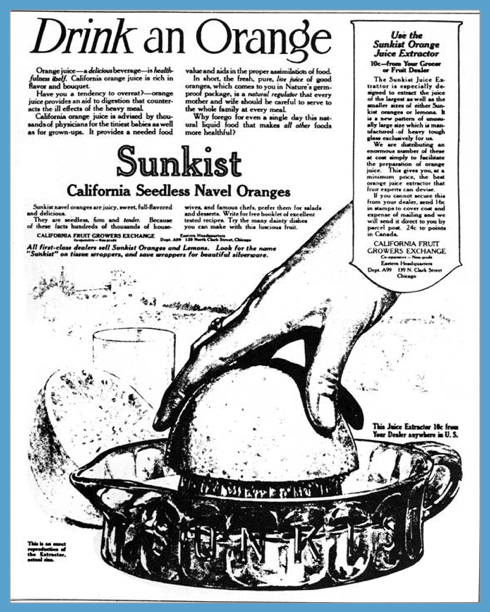 Back then, people didn’t drink orange juice. They just ate the orange. He made it popular. Originally published in 1923, Hopkins’ book continues to be so revered because the principles he discusses are timeless. In a world where sales and marketing are among the fastest growing categories in SaaS, Hopkins’ writing is like a warm blanket on a cold night – proven, tested and reliable. It would be hard to do justice to such a seminal book in a single blog post, but here are the 3 key pieces of marketing advice from Hopkins that not only stand the time but are still vital in sales and marketing. Hopkins was one of the first to articulate that great marketing paired with a great product can equal more than the sum of the parts: marketing can amplify all the fantastic features your team builds and tell the narrative that motivates action from prospective and existing customers alike. The trick is discovering what makes your product and business remarkable. The trick, according to Hopkins, is discovering what makes your product and business remarkable. Take one of his most successful advertising campaigns – to propel Schlitz beer from fifth place in the beer market to first. Hopkins encouraged his readers to sell the unique benefits nobody else is selling. This approach is still the hallmark of many of the most notable marketing campaigns – Dollar Shave Club, for instance, don’t just sell razors, they’re selling a brand with a distinct humor, culture and lifestyle. And if that’s something you want, you can only buy from them. where people are most likely to click on our landing pages. What about the psychology behind your prospects’ behaviors? But there’s more to the story. What about the psychology behind your prospects’ behaviors? When it comes to converting consumers, the secret to more sales is understanding consumer behavior and learning what a buyer wants from your business rather than burying your head in Google Analytics. Hopkins was among the first to discuss psychological principles that even now influence how we buy products. For example, Hopkins’ ads were instrumental in helping to create a toothbrushing habit across the whole North American continent. How did he do it? He defined a problem and offered a solution. 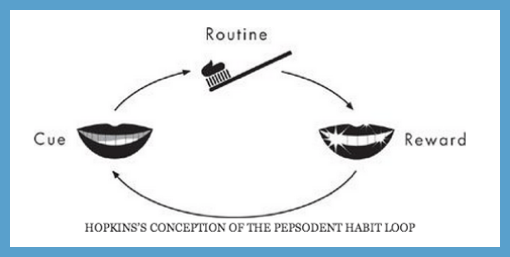 The genius behind his Pepsodent advertising was that he had found a certain kind of cue and reward that fueled a particular habit. These habit-forming principles are are so powerful that they’re used by video game designers, food companies, and millions of sales people across the world. Having a great product is no longer enough. Technological advancement is a rising tide that lifts all ships, and more and more, most of the products that we see (by the time they get filtered through to us on Product Hunt) are great. Building a great product, in most cases, only puts you in the middle of a crowded field of other great products. Being specific will strengthen the perception of any claim. Hopkins wrote that the key to standing out in a commoditized market was to be specific with your marketing. Being specific – very specific – about the benefits of your product will strengthen the perception of any claim. It reminds me of how Apple market their products. When they first built the MacBook Pro from a solid piece of aluminum, they went to great lengths to show the manufacturing process and explain exactly why this was their most durable and polished design yet. I’m sure the manufacturing processes at Microsoft and HP are just as revolutionary, but I know about Apple’s because they’re the only ones who told me about it. Hopkins’ work may have been written in the early 1900s, but there isn’t a word of it that can’t be applied to marketing today. Interested? You can grab a free copy of the book this way.